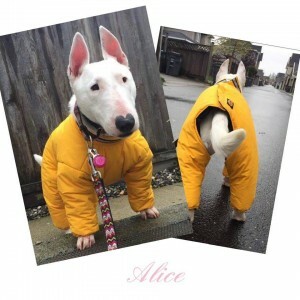 Available Dogs – Canada | Bull Terrier Rescue, Inc.
Isn’t this the cutest picture? Alice is available and in the BC area. She does have a meet-n-greet scheduled for the Easter weekend. Alice is about 5 years old and 25-30lbs. She is dog-selective so her ideal home is one where she’ll be the only pet and where there are older children in the family. Alice is not a fan of the kitties. If you have any questions about Alice, please contact Suz at suz@bullyhaven.org or 415-672-7391.